Product typically ships within two business days. 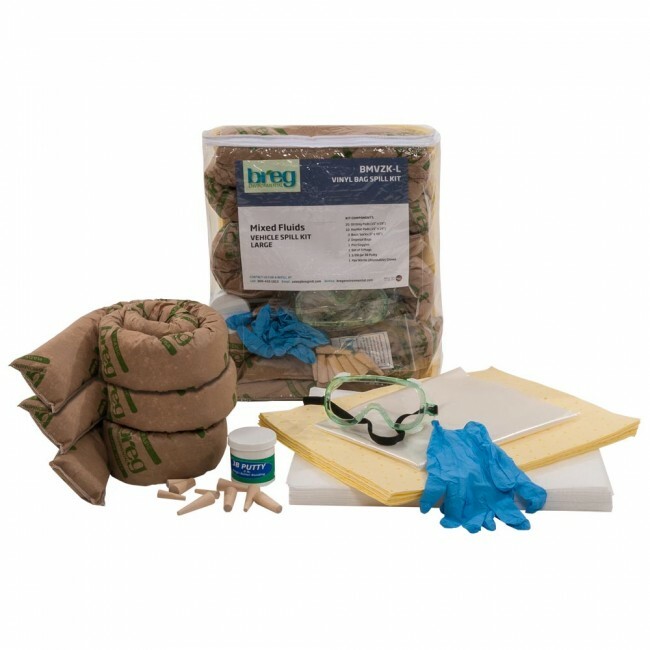 Breg’s “Go To” portable spill kits designed for easy and mistake-proof response for any type of spill. When you’re on the road, anything can happen. Our vehicle Spill Kits are packed with everything you need for multiple fluid emergencies out in the field. All packed in a space-saving, easy-to-store, clear vinyl zippered bag so you can quickly assess what’s inside and get to work cleaning up a spill. All of Breg’s zippered spill kits can fit neatly inside truck, cab or cubby. Basic Socks pick up non-aggressive fluids. Oil Only Pads separate petroleum from water. 3B Putty and Plugs for hydraulic leaks. 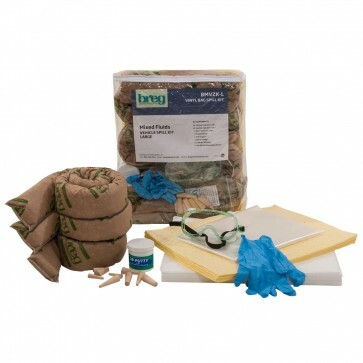 Universal Pads handle any type of fluid including aggressive chemicals. WARNING! This product may contain chemicals known to the State of California to cause cancer, birth defects, or other reproductive harm.